There are days when I really feel for everyone involved in the Resident Evil franchise. Not because the games are bad but, rather, because they’re so often saddled and overshadowed by the same, tired discourse. 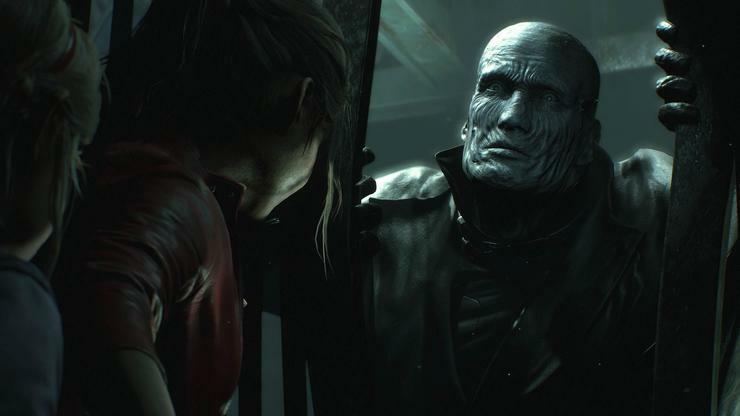 Like a corpse unwillingly resurrected by the T-Virus, each installment of Resident Evil is assaulted by familiar accusations the franchise has lost its way in one way or another. When exactly did that happen? Depends who you’re asking. For some, the shift comes with Shinji Mikami’s action-heavy Resident Evil 4. For others, the tipping point was the series over-investment in side stories and non-numbered entries like The Umbrella Chronicles and Operation: Raccoon City. The most-recent installment in the series, Resident Evil 7 invoked its own wave of ire and accusations simply by shifting the perspective to first-person. Part of this splintering is down to the reality that everyone has different tastes. Some people like the terrible voice acting and convoluted narratives the series is known for. Others see them as indulgences that hold the franchise back from what it could be. 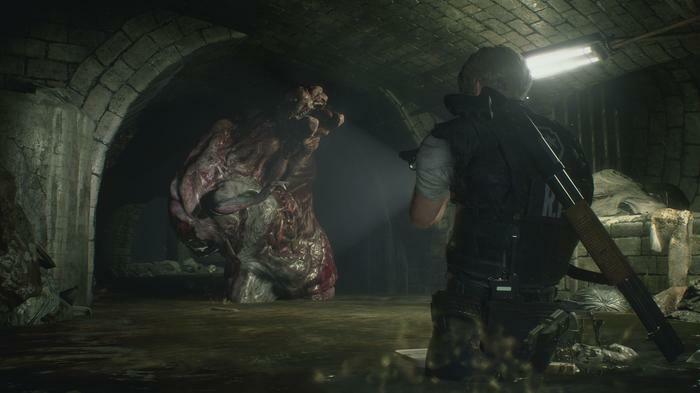 However, when you tally up all the different spin-offs released for Resident Evil, it’s hard not to see Capcom’s role in furthering the divides around defining just what a Resident Evil game should be. At this point, pretty much every Resident Evil fan out there has their own take on which direction the series ought to lean. And it feels like each new installment of the franchise starts out on the defensive as a result. The conversation around each addition to the series’ legacy doesn’t start with the questions of scope or meaningful evolutions. Instead, the discussion is always about which definition of the series is involved. 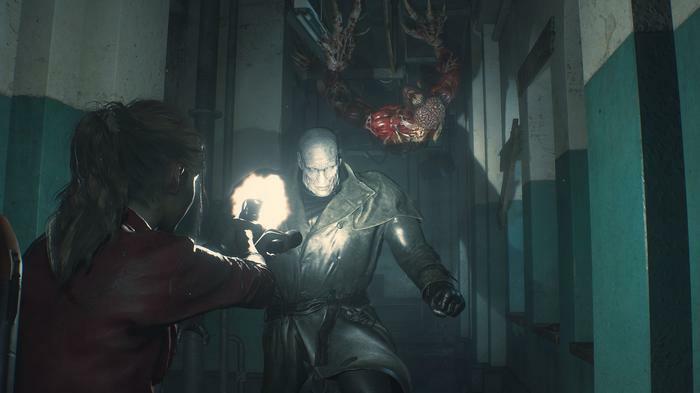 What do the people making this new game think the fundamentals of a Resident Evil experience should be? Do they embrace the quirks of the past or pretend they never happened? Perhaps these pitfalls are why Capcom is so fond of remaking older Resident Evil games. In the series’ earlier days, the fans and discourse were less divided. Back then, things were simpler. And Capcom’s new remake of Resident Evil 2 embraces this. In concept and execution, it’s a throwback to an era where the series’ identify was far more straightforward and easy to realise. 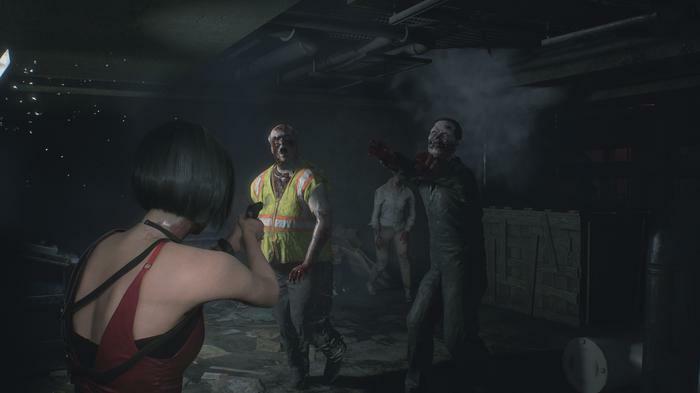 The new Resident Evil 2 feels an easy home run for Capcom, diehard fans and series’ newcomers. It smartly modernizes a survival horror classic with a delicate touch and it gives you exactly what you want - though I came away from the game wishing it gave just that little bit more. 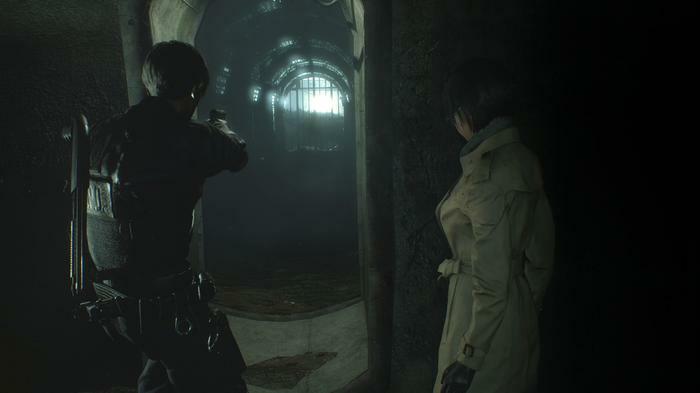 Set following the events of the first Resident Evil game (and its many, many remakes), the new Resident Evil 2 sees you take control of either police officer Leon S. Kennedy or Claire Redfield. Regardless of which character you play as, the story kicks off with the outbreak of a zombie virus within the metropolis of Racoon City. You’ll seek shelter in the nearby police station and then be tasked with uncovering the source of the pandemic and escaping to safety. It’s a classic survival setup, but then that’s the point - or, at least, the charm. And, in the context of the bigger picture, the story told by the original Resident Evil 2 is one of enormous consequence. Without the original Resident Evil 2, it’s hard to imagine how the series ever escalates to Resident Evil 3, 4 or 6? Nevertheless, if you’re after ridiculous puzzles, clunky inventory management, scarce ammo supplies, a moody atmosphere, iffy voice acting and slow zombies that just won’t die - you’ll find it all here. 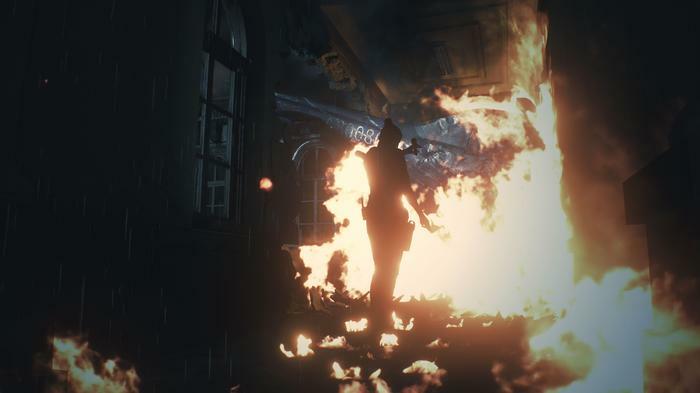 And, credit where it’s due, the new Resident Evil 2 does a great job of making zombies feel threatening in an era where they’ve been so utterly done to death. Each and every zombie the game throws at you feels threatening and you never know how many bullets it’ll take before they go drop dead and stay dead. Bringing in the third-person, over the shoulder perspective found in more recent entries is only the first step. Knives and sub-weapons work differently. Some puzzles have been changed. The layout of the game’s iconic police station (and beyond) has been slightly rearranged and its corridors expanded. What’s old is new again in too many ways to fully list here. One thing that hasn’t changed, however, is the game’s dual-character structure. Once you beat the game with one character, you’ll be invited to start a “2nd Run” playthrough with the other character. Unfortunately, the execution of this idea left me a little cold. It feels like half the time, this conceit exists to let you see the other side of the story through the unique story beats and sequences that are exclusive to Leon and Claire, respectively. Unfortunately, these moments aside, there’s a huge amount of level recycling here and it’s is handled in a way that felt disrespectful of the fiction. Puzzles and even cutscenes are shared between the two characters, and in the context of the 2nd-Run playthrough, the two stories just doesn’t feel cohesive in a way that’s satisfying. A 2nd-Run playthrough is required to get the full, true ending to the game. Beyond that, it does little to justify itself. The moments where the two characters’ paths diverge are brilliant, but I ached to see the game lean further in this direction to no avail. And to Resident Evil 2’s credit, it’s not a game that outstayed its welcome. As a reviewer, it’s honestly a little refreshing to play something that isn’t another 30+ hour open world adventure. Nevertheless if you’re looking to buy-in and expect something with well beyond double digits of playtime, you might be a little let-down here. My first run through the game took me about five hours. My second took me slightly less. If you attempt to revisit the original Resident Evil 2 today, you’ll likely struggle to get through it. The aesthetics? Dated and muddy. The gameplay and controls? Archaic and antiquated. So, bearing that context in mind, Capcom’s update here makes a lot of sense. If the only thing stopping people from wanting to play (and buy) older Resident Evil games again is dated textures and a lack of comforts like autosaves, then let the remakes begin. And if you’re the kind of player who dug returning to the original Resident Evil in one of its many remakes, you’re probably also the kind of player who will dig what Capcom are doing here. They’ve taken a rightly-venerated classic and attached a ton of smart modernizations to make it more palatable for modern audience. It hearkens back to a simpler time in the series past, and it doesn’t struggle to meet those humble goals. If there’s a deeper truth to be found here, it isn’t hidden away in an underground bunker somewhere. It’s hidden in plain sight. As a franchise, Resident Evil has never been guided by some sort grand mythology, narrative master plan or an auteur's vision. Game of Thrones, it ain't. With that in mind, I think there’s a case to be made that the series can’t lose it’s way - not really - if it never had a route planned to begin with. And if journey has led us back to one of the series’ stronger, formative, chapters, is that really such a bad thing? Resident Evil 8 is all but certain to splinter the franchises’ fanbase in new and exciting ways. But no matter which side of the divide you end up on, you’ll always have a perfectly-playable version of Resident Evil 2 to go back to. 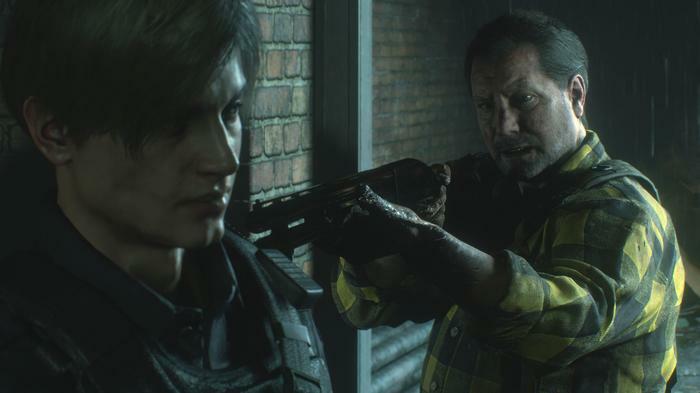 Resident Evil 2 is available now on PC, PS4 and Xbox One.